1. Download the ShiftNav zip. 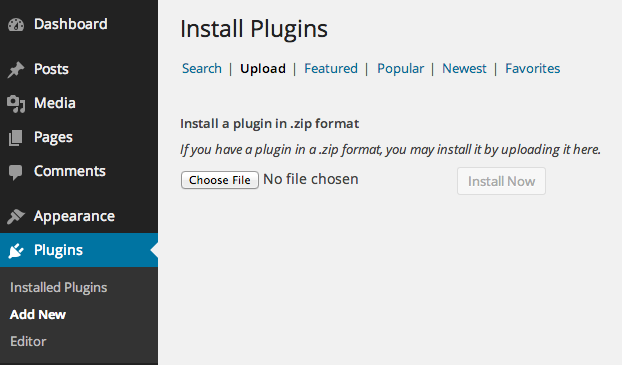 Upload it to your WordPress installation. 3. Go to Appearance > Menus and create your menu to be used in ShiftNav. To set ShiftNav-specific settings, hover over the menu item and click the Shift button that appears. 5. Go to Appearance > ShiftNav. Click the “Toggle Bar” tab. 7. 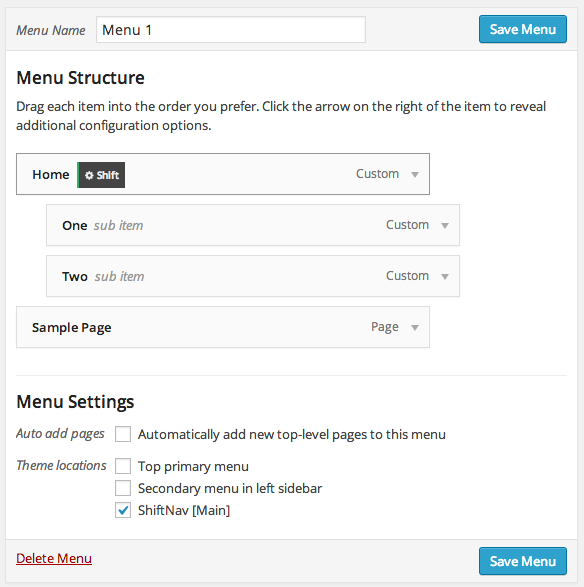 Provide the selector for the menu you want to hide. This is specific to your theme, and often looks like .primary-nav, #primary-menu, .top-nav, .main_menu, etc. 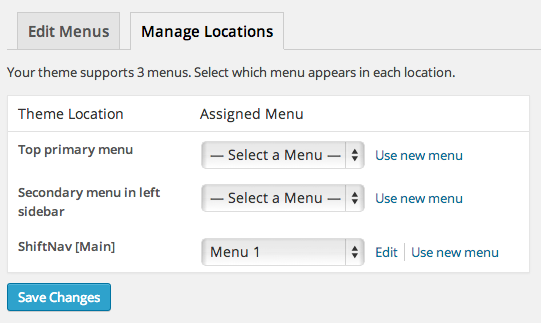 For UberMenu 2, the selector is #megaMenu. For UberMenu 3, just check the special Hide UberMenu box. 9. ShiftNav is now installed and running on your site. You can configure it further in the Appearance > ShiftNav Panel.